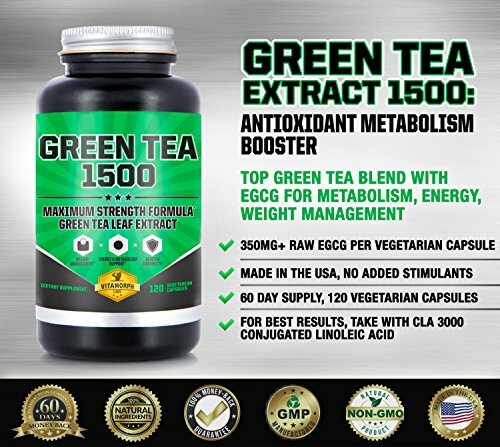 GREEN TEA 1500 FOR ENERGY & METABOLISM – Green Tea Leaf Extract at 735mg Per Serving with 50% EGCG. 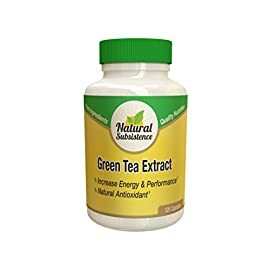 Great energy, metabolism, and cardio benefits! 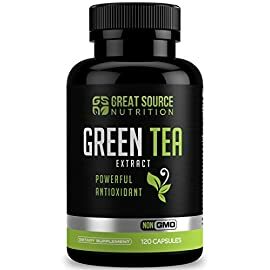 The Green Tea Extract 1500 Supplement – High Potency Green Tea Extract with 50% EGCG per vegetarian capsule, and 735mg Green Tea Leaf Extract. 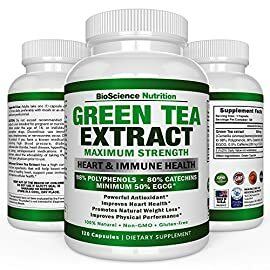 It is a Heart-Healthy Green Tea Extract, Non-GMO Dietary Supplement with a full customer satisfaction guarantee! 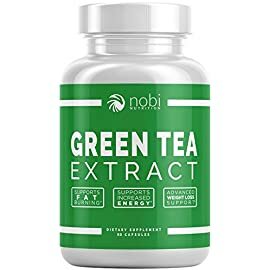 Great for a Healthy Metabolism, Daily Energy, And Weight Loss Management. 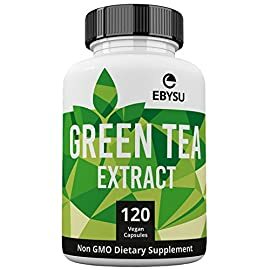 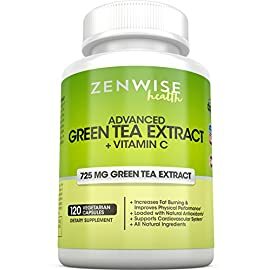 The EGCG within Green Tea Extract 1500 provides you with all of the benefits of green tea concentrated into a daily dose for metabolism & antioxidant benefits. 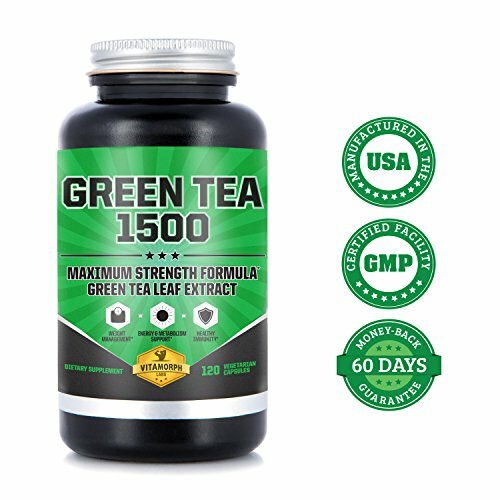 The top quality of Green Tea Extract 1500 comes from its EGCG potency – Our High Potency EGCG amounts to 3-6 brewed tea cups depending on the tea & dosage. 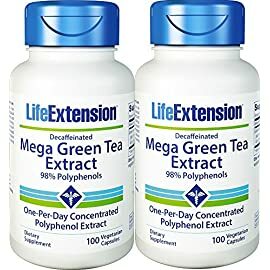 Each capsule is also vegetarian! 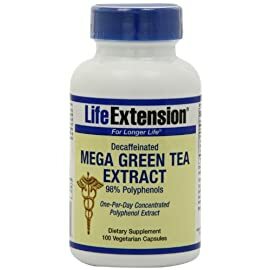 This is a great daily supplement for weight loss management & will last you a minimum of 60 days at our really helpful daily dosage amount. 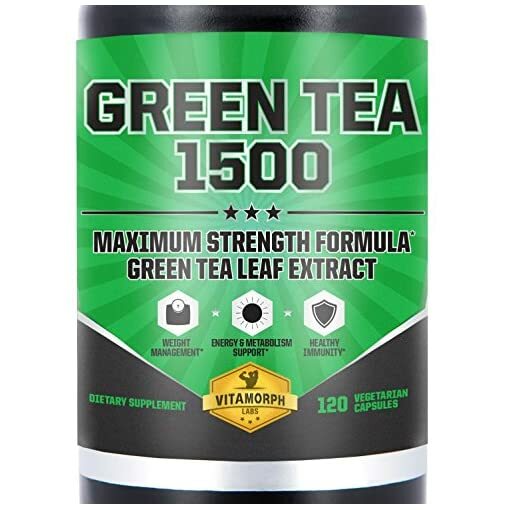 Vitamorph Labs guarantees you are receiving 100% satisfaction with your order by providing you a Customer Satisfaction Guarantee – See Promotions for Details. 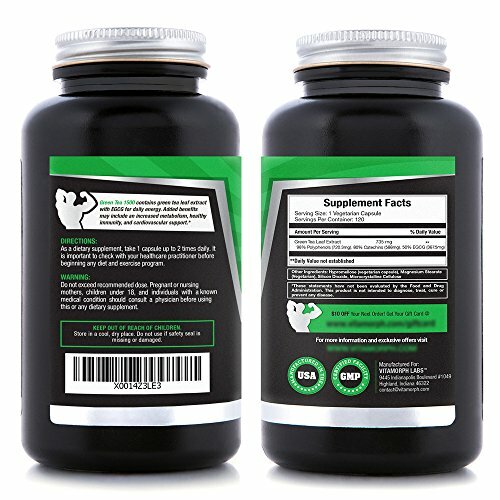 This product is trusted by thousands of people all over the world and is Made in america! 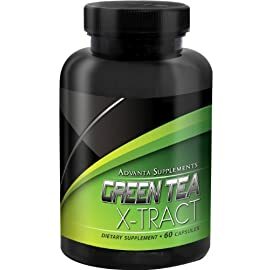 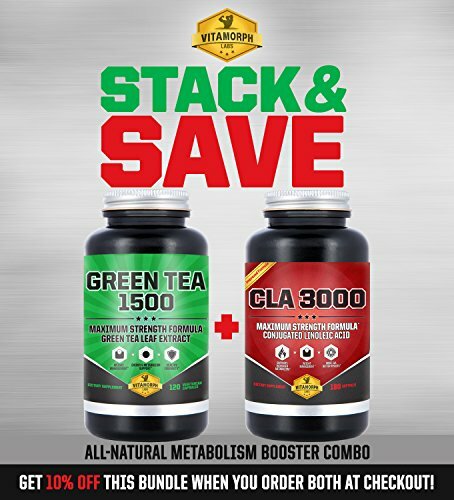 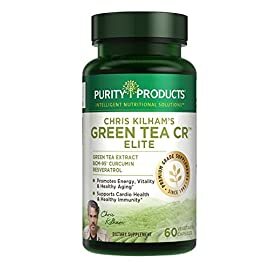 Try Green Tea Extract 1500 with CLA 3000: CLA (conjugated linoleic acid) is a natural omega-6 derived from safflower oil, developed to help reduce body-fat mass – Try Green Tea Extract 1500 With CLA 3000 For 10% OFF At Checkout! 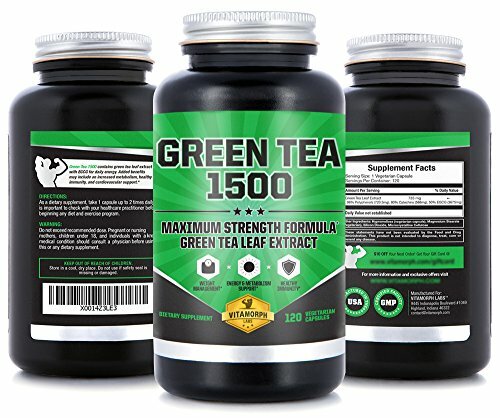 WHY GREEN TEA 1500? 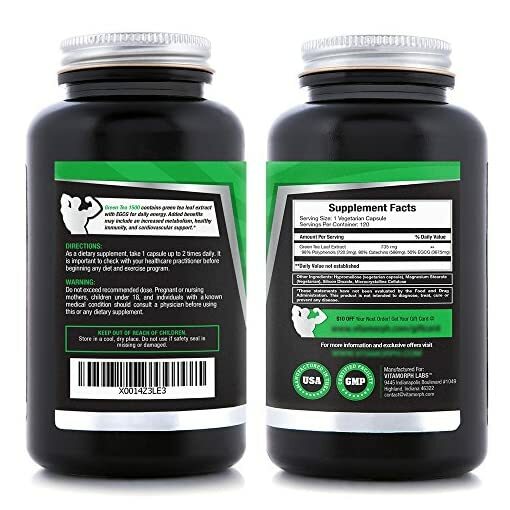 – One easy to swallow vegetarian capsule per serving. 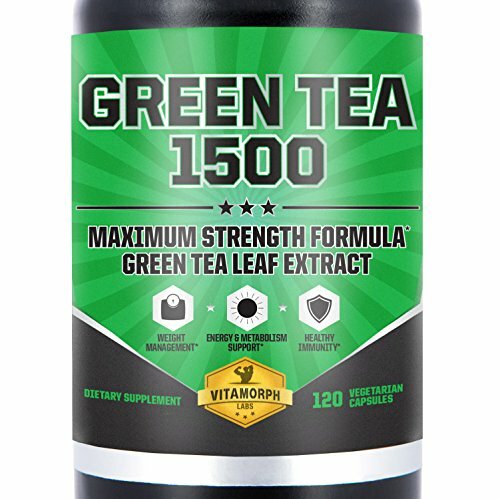 High concentration of green tea leaf extract at 735mg and a 60-day supply! 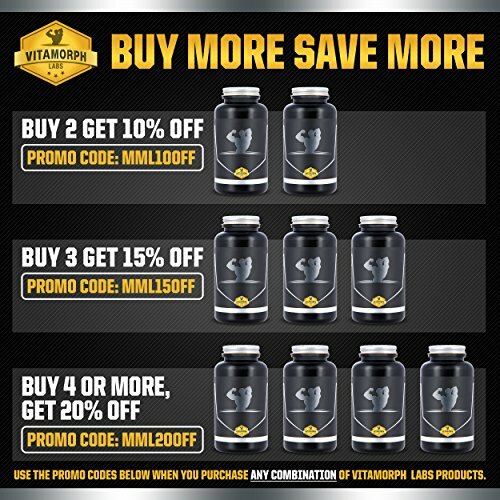 WHY VITAMORPH LABS? 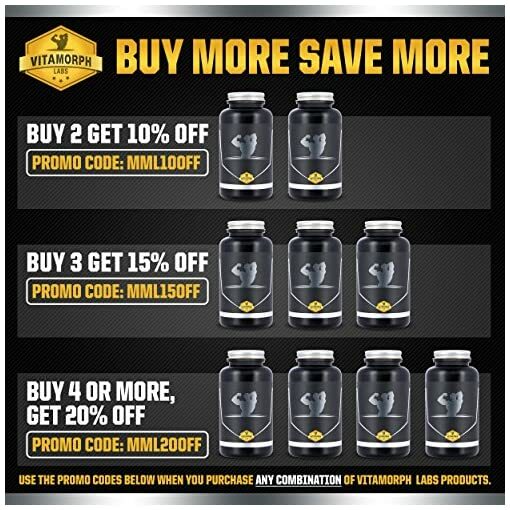 Customers are #1 to us, by ordering you’re eligible for fantastic promotions found nowhere else – check your bottle for details!